Outfitted with a 15″ Tri Tac Keymod Rail that features strong attachment points for accessories resulting in accessories and optics having an excellent return to zero capability when detached and reattached. The rail also features a full-length picatinny top rail that sits flush with the upper receiver and has anti-rotation tabs to keep it locked in place. 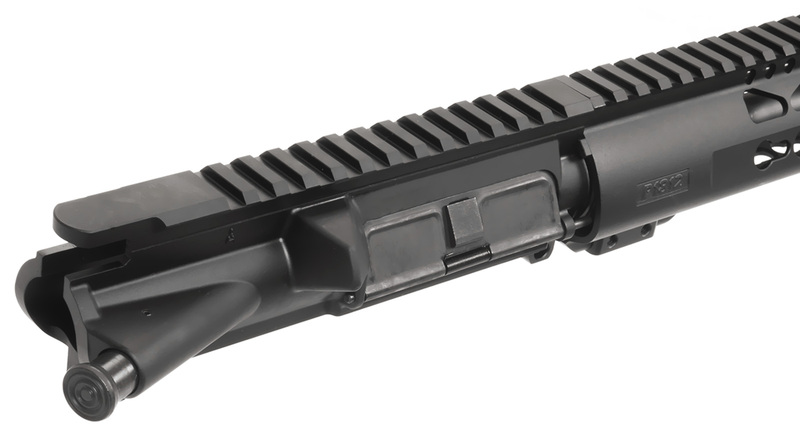 This upper assembly comes with a standard A2 flash hider that effectively suppresses muzzle flash and protects the barrel threads if you are planning on adding a muzzle break in the future.